If you decide to embrace a healthy lifestyle, you should know the importance of daily fruits and vegetables. but many customers complain that large-dimension and heavy blenders are difficult to use. Now, we offer the solution! 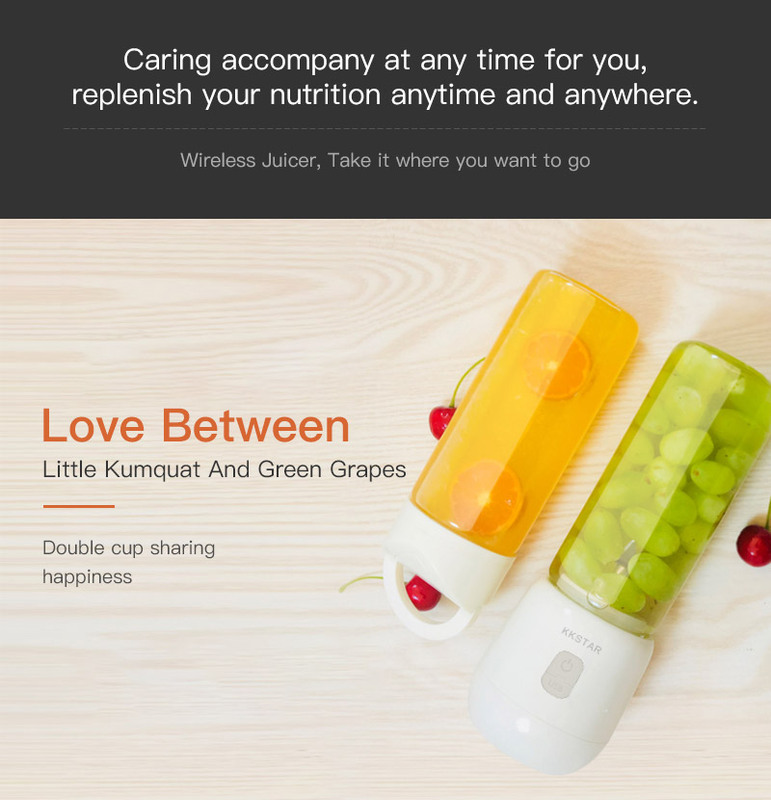 This is a lightweight, one piece, cordless juicer blender that serves as a drink container. 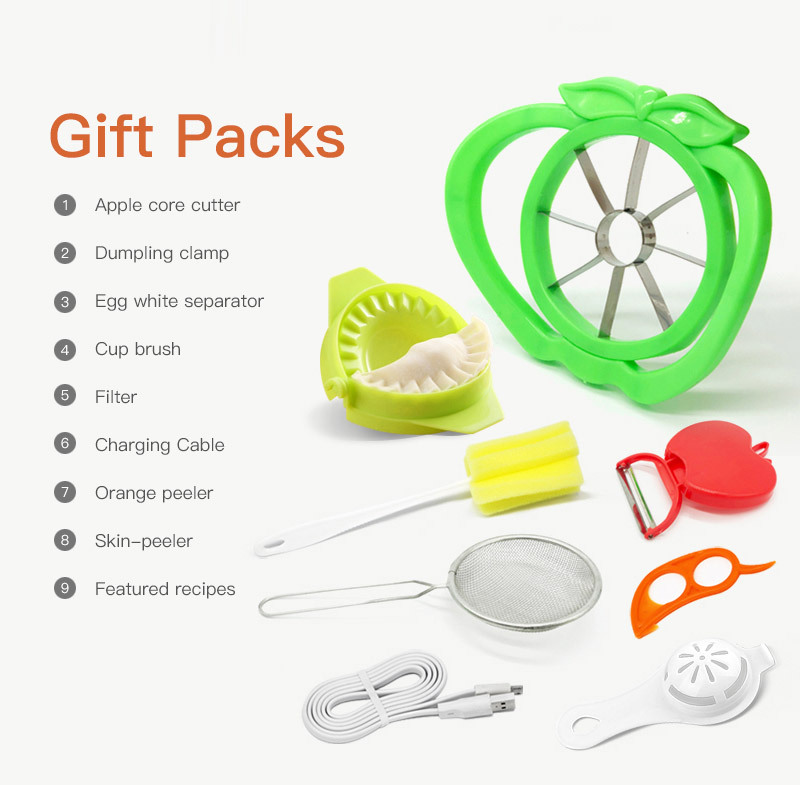 This portable Juicer blender requires no special training and has a user-friendly design which can be used by anyone, you can make juice, baby supplementary food, milk shake even amazing smoothie, which allows you enjoy fresh nutrient retention and wonderful leisure time when you work, sport, hike, drive or travel. 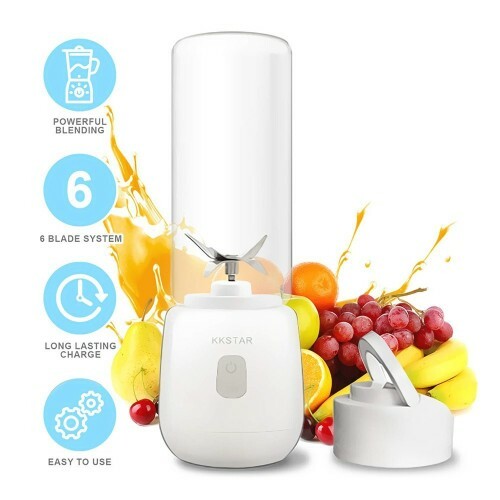 This USB rechargeable juicer extracts fruits and vegetables and adds essential nutrients or vitamins into your daily meals, you’ll start noticing an improvement on your energy and well-being level. Enjoy Life, Healthy Diet! 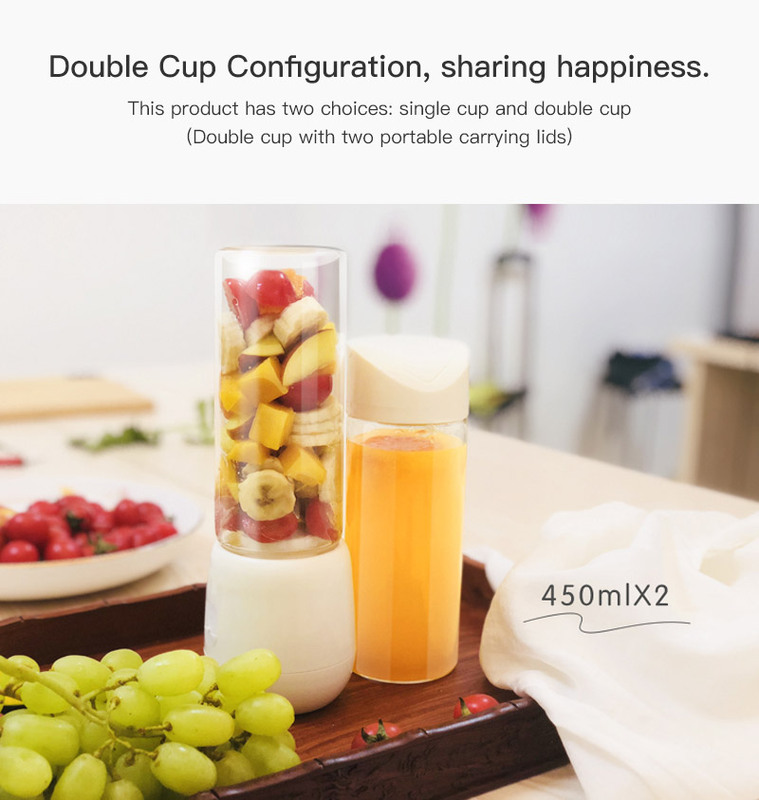 The USB juicer cup comes equipped with a built-in Li-ion battery that can be easily charged by power bank, laptop, computer, mobile phones or other USB devices, the small dimensions of the device and durable glass bottle are ideal for easy carrying. 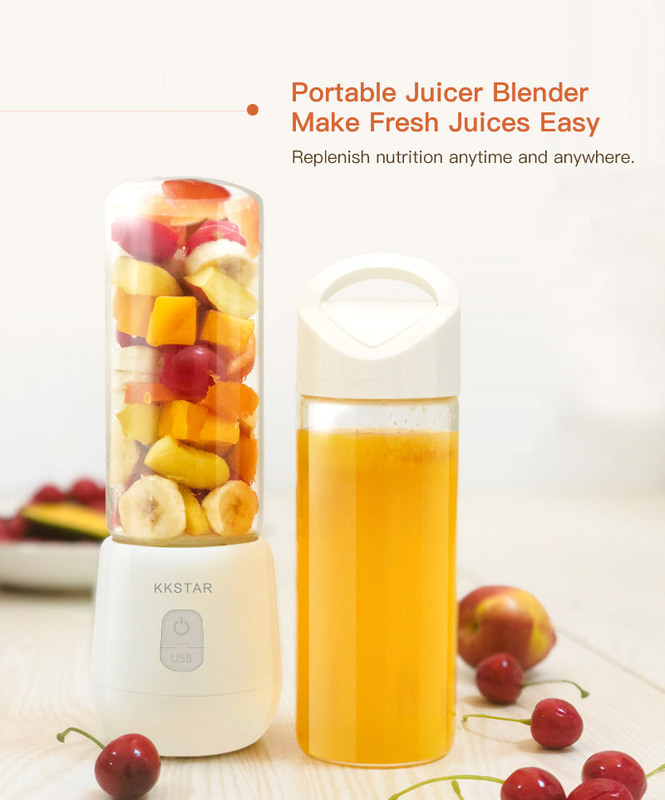 This premium quality blender is designed having your comfort in mind and comes with a 6-blade system which will help you crush even the hardest ice, frozen fruits and nuts. 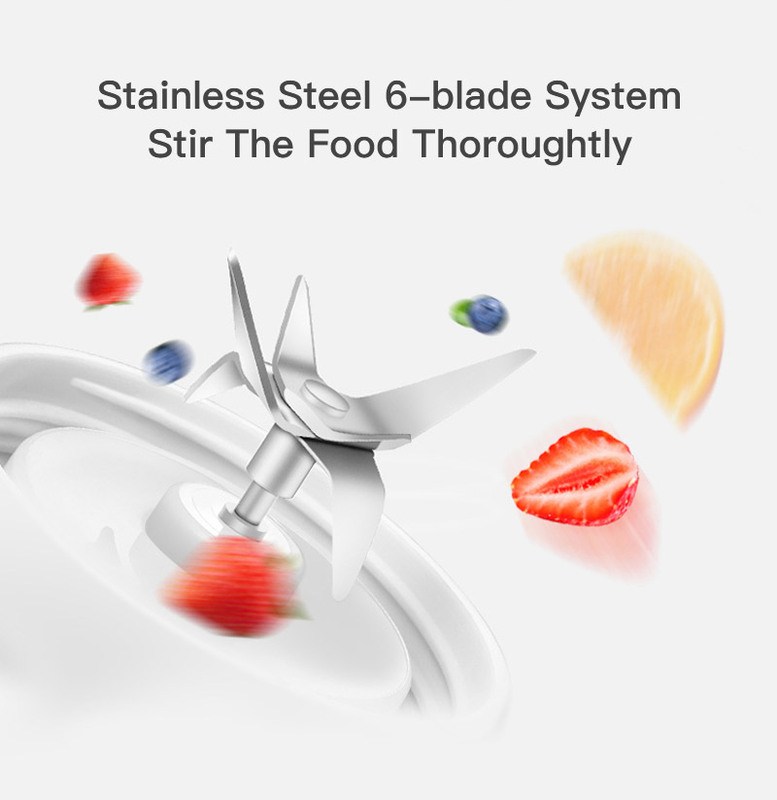 The sharp stainless-steel blades spin at a 22000rpm and will grind the contents without any lumpy residue in a matter of seconds. Slim ergonomic shape and stylish design, a utility and versatile item. You will get the fresh and health drinking no matter where you are and when. 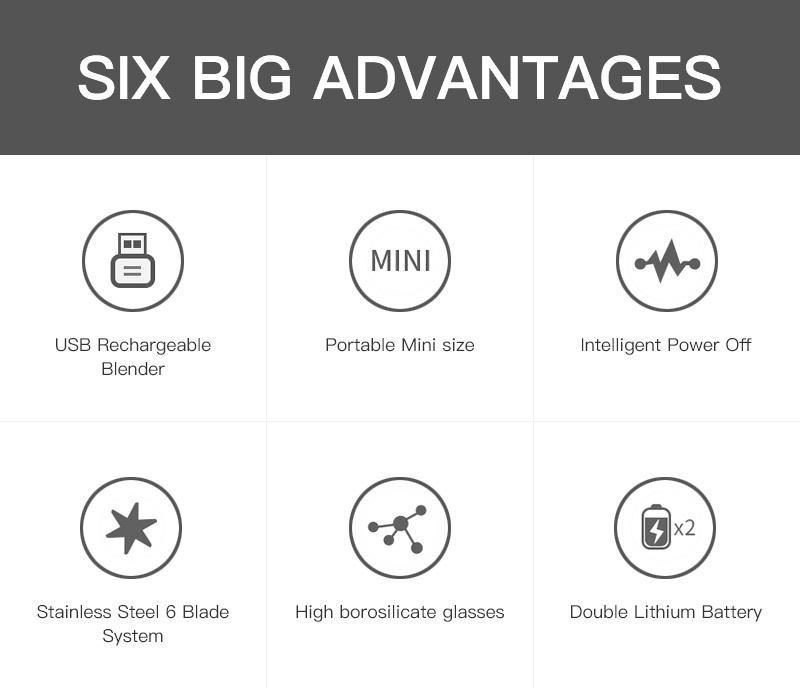 This practical blender has built-in li-ion rechargeable batteries and a USB cable included, allowing for fast charging and a large autonomy. It can repeat use when fully charged. And easy for charge when battery used up. 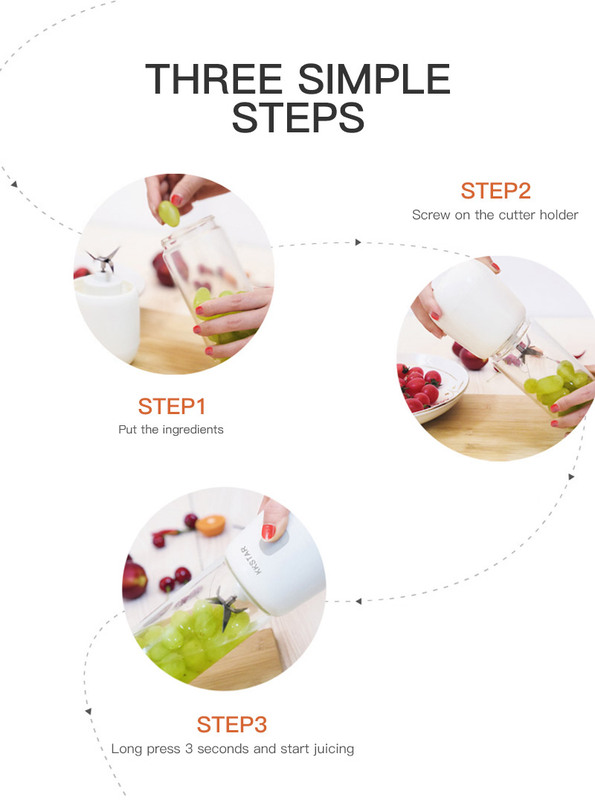 It has smart safety protection device, magnetic sensing switch ultra safe to use and clean, the juicer cup&apos;s body and bottom can be separated, you can easy to clean it. 1. Cut fresh fruits into small pieces. 3. Attach the blender compartment and give the bottle a quick shake. 4. Press and HOLD the power button to start the blender. 5. Whirl and gently shake the blender to make sure that there are no clumps. ● If the power button flashes red: Recharge, fill 80% cup capacity, or screw on the cup properly. ● Press and HOLD the power button to turn it on. 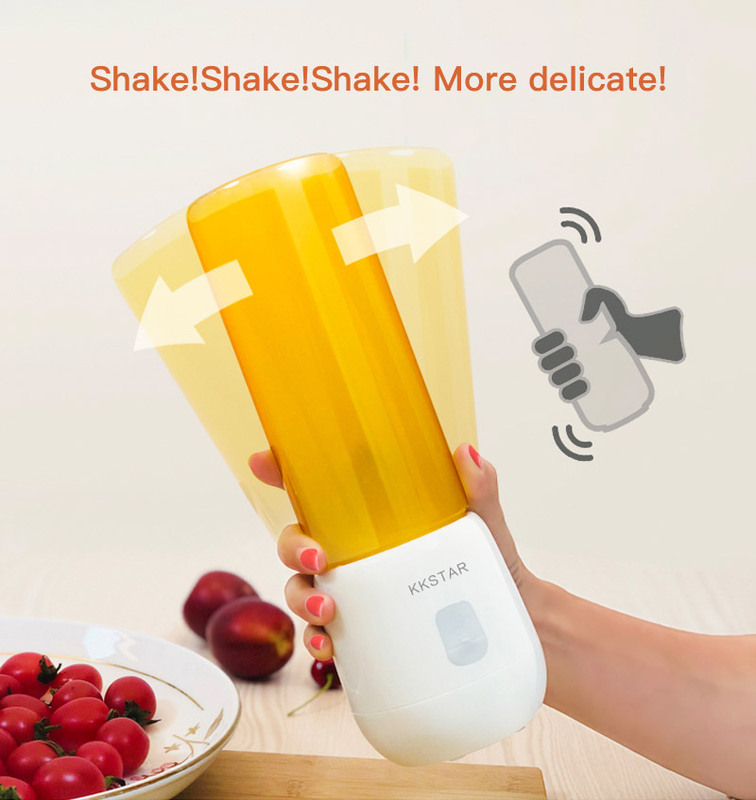 ● Only wash the blender&apos;s blades and cup.